We are a leading Manufacturer of ion exchange plant from Ahmedabad, India. 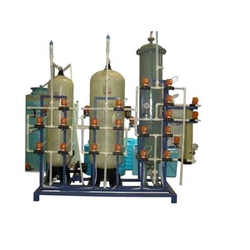 We are providing a large assortment of Ion Exchange Plant. Offered range of product is made from best quality component and using advanced technology. These products are highly demanded in the market due to its high performance and accuracy. We always try to deliver best quality products within the promised time frame. Further, we provide these products at reasonable market price to our valuable clients. Looking for Ion Exchange Plant ?